Stoney Middleton is a limestone gorge, its geographical legacy combined with thousands of years of lead mining have provided an extensive caving system. 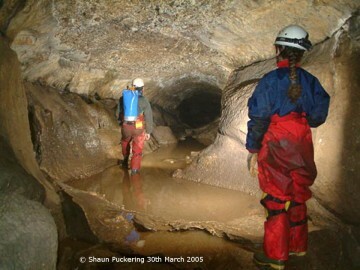 One of the most extensive in Derbyshire offering excellent caving. Popular caves include the extensive Carlswalk Cavern, Streaks Pot and Layby Pot, all offering some good through trips. There is also some verticality in caves like Hungerhill Swallet. For the exploratory caver there is still good potential for further discovery as the “master cave” has yet to be found. Caving should only be undertaken by experienced cavers or under professional supervision. Read about caving courses available at Stoney Middleton by Pure Outdoor [add link].